The Chair for Contemporary Turkish Studies focuses on culture, religion, politics, and memory in Turkey and among Turkey's diasporic populations. Its mission is to promote a deeper understanding of Turkey with emphasis on its diversity and a focus on its connections to the world. As the only Chair of its kind located at a European Institute, its specific focus is Turkey's dynamic relationship with Europe. The Chair provides academic leadership in the study of Turkey through interdisciplinary and critical research, teaching and related public activities. It organizes seminars and conferences, and supports doctoral studies on contemporary Turkey. 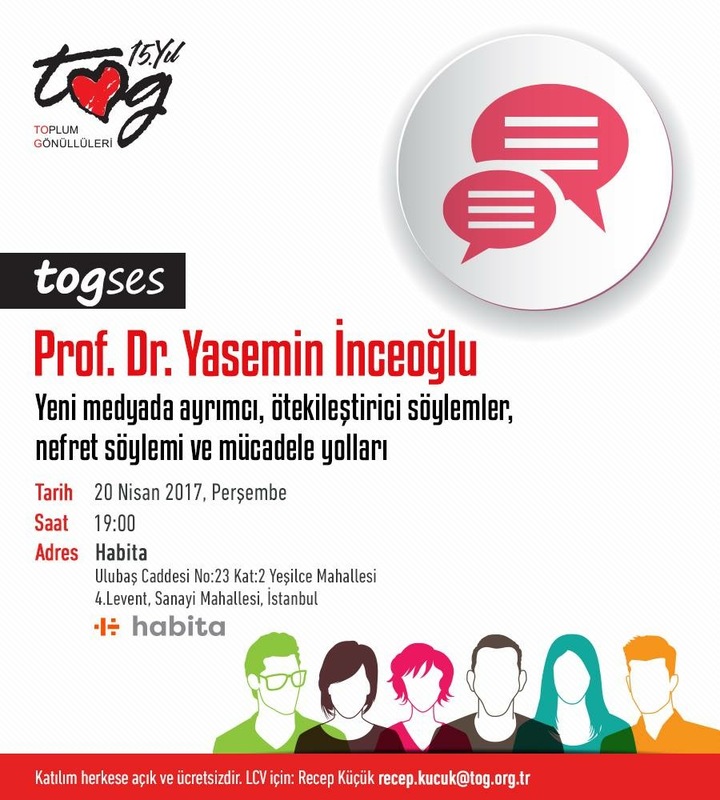 Yasemin İnceoğlu - Media Coverage of Hate Speech and Discriminative Discourse in Turkey The synopsis of this seminar is to unveil the existence and the rise of hate speech in the absence of an independent, accountable, transparent media and figure out the solutions and recommendations to combat with it. Polarization between different segments of Turkish society is becoming more pronounced and intolerance more widespread. Nefret söylemi medyanın farklı biçimsel formatlarında farklı hedef kaygıları ve içerikleriyle varlığını sürdürmeye devam ediyor. Medya üreticileri bireysel veya çalıştıkları kurumsal ideoloji bağlamından kaynaklanan nedenlerden dolayı medya ürünlerine/enformasyonlarına örtük veya açık bir şekilde bilinçli veya bilinçsiz olarak nefret söylemine neden olan söylemleri ekiyor. Ya da bu söylemleri üreten kişilerin ifadelerine medyalarında yer vererek bu duruma dolaylı olarak sebep oluyor.